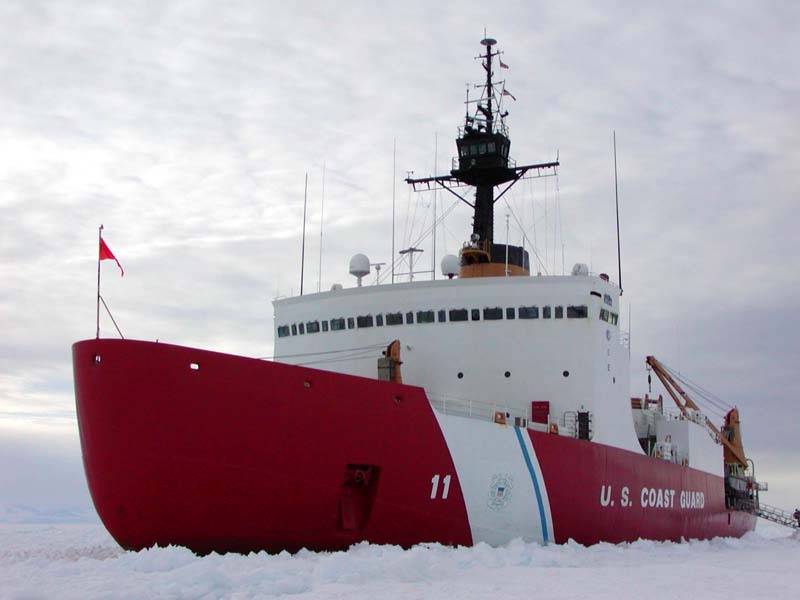 Reuters reports that the Commandant again used the phrase “guardedly optimistic” regarding FY2019 funding for the first new Polar Security Cutter when addressing a National Press Club event. Perhaps key here is that the Congress will attempt to pass a budget before the Dec. 21 expiration of the continuing resolution. This entry was posted in Budget, icebreaker by Chuck Hill. Bookmark the permalink. Freedom of Navigation exercises in the Northwest Passage is likely to bring protests from Canada. i’m thinking he means Russia/America/Canada border but who knows lately. in that area we generally get along with the Russians rather well. also navy talks big arctic, when is the last time a nav surface ship got north of the straight? I did navy, did north of arctic circle but that was a cold war navy. early 80s.i do not know of grey hulls north of the straight in forever, I do think a serious port in northern Alaska , probably expensive, is a good idea. When I think Arctic, I think of the Pacific/Alaska side, but realized after writing this, he may be thinking more Atlantic side. The port might actually be in Norway, Iceland, or Greenland. The Navy did recently participate in an exercise North of the Arctic Circle off Norway. I somehow forgot that it referred specifically to a port in Alaska. well if they want to start monitoring Russian subs again in the arctic giuk gap seems like the most likely place. weather or not the govs of Greenland or Iceland would support a naval presence again on their turf, who knows. it seems to me in their best interest. I think we still have a small air force contingent in northern Greenland but don’t quote me.